Receive email and text alerts when your job site is expecting or receives project halting rainfall amounts. 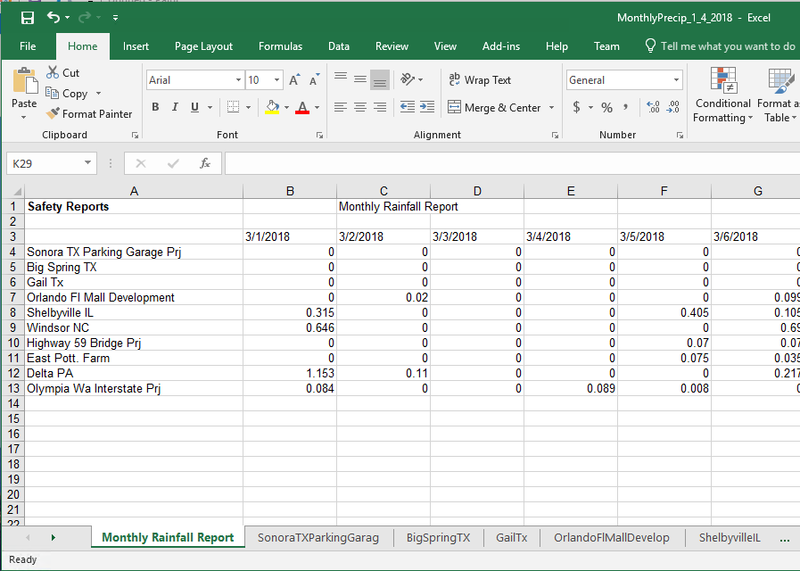 The monthly email provides daily rainfall totals for each location in the email body and a attached spreadsheet which includes the daily totals and the hourly recorded rainfall for each location. View a sample monthly spreadsheet report by clicking here.